Join | TRPC | Tallahassee Rifle & Pistol Club, Inc.
SHOW PROOF OF CURRENT NRA MEMBERSHIP. NOT A MEMBER OF THE NRA? 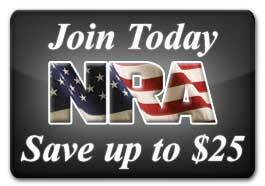 JOIN THE NRA NOW. Send an email to secretary@trpc.net and request an application to join. The secretary will reply to your email with all the docs, info and instructions that you will need. Go to FLORIDA DEPARTMENT OF LAW ENFORCEMENT website and complete an online background check https://web.fdle.state.fl.us/search/app/default There is a $24.00 fee for the background check, print out the report and attach it to your application. This is required for all new members regardless of occupation or recent background checks, NO EXCEPTIONS. Complete the TRPC Range & Safety Rules Test. Attach proof of current NRA membership. Contact club secretary when your paperwork is all together and schedule a time to drop it off or just mail it to:TRPC, P.O. Box 7638, Tallahassee, FL 32314-7638. Once your paperwork is received, the club secretary will contact you to schedule your NEW MEMBER ORIENTATION. After your orientation is finished, then you will pay your first years dues and receive your proximity card for the automatic gate. There is a 12 month probationary period for new members, don’t violate any range rules during your probationary period and become a full member at the end of your probationary period. Members dues and paperwork are due each year by June 30th. After you are a member, there are annual requirements to remain a member. Four hours of your time means helping your club with our youth program, any other match or attend one quarterly range workday. Four times a year we hold a range workday, this is how we maintain the club facilities in such good shape. We always serve a nice catered lunch on workdays and provide plenty of cold water & Gatorade. Workdays are held on months that have 5 Saturday’s. They are on the 5th Saturday from 8:00am til noon. Any match director or board member can sign off on your time. Just ask any of them how you can help them or our club. We only require that you attend 1 workday but we encourage you to attend as many as your time and health permit. Member involvement makes this club run. If everyone puts a little in, everyone will get a lot in return.